Medical Center Dental Group is located in the Houston Medical Center’s Scurlock Tower. We specialize in General and Cosmetic dentistry in our state-of-the-art office. We’ve been practicing for almost 30 years with the goal to provide the best dental care in the Houston area. 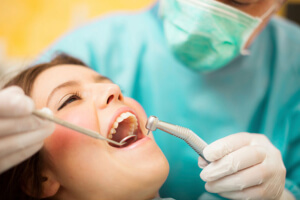 Whether you need preventative care, are interested in a cosmetic procedure, or are concerned your teeth are in bad shape and want to turn the situation around, Medical Center Dental can provide the care you need in an understanding manner and put you on the path to a bright smile and excellent dental health. 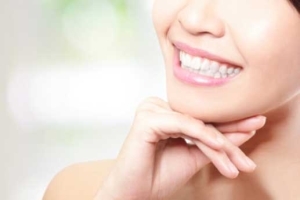 We offer a full range of procedures in Houston from teeth straightening to dental X-rays. At Medical Center Dental, we know you have many choices when it comes to dental care, but what sets us apart is our highly skilled team of dentists, hygienists, and staff as well as our 5-star service. We take the time to listen to our patients and believe that their comfort and care should be the number one priority. We work with the latest and greatest in dental innovations and our dentists are always continuing their education on cutting-edge technology, procedures, and materials. Come see the difference and schedule your dental appointment in our Houston office today. 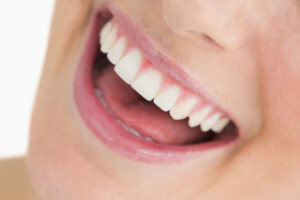 We thoroughly examine and develop a comprehensive dental plan for a bright and healthy smile. 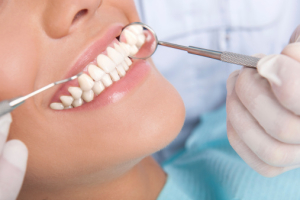 Whatever the condition of your dental health, your Houston dentist can come up with a plan to fix problems and get you on a program of regular checkups and cleanings. It’s never too late to get on the path to a healthy set of teeth. Our dentist has helped hundreds of patients get the beautiful smiles they’ve always dreamed of. We use the most up-to-date procedures to give you a nice, bright smile, and we can also fix old, ugly fillings that may even be causing damage if they use outdated materials like mercury. Dental implants are a great solution to missing teeth that don’t depend on your remaining healthy teeth for strength, and you care for them just as you did when you had a full set of natural teeth. The tissue in your jawbone actively fuses to them, making them very strong. Our dentist is one of the few in Houston that specializes in the Chao Pinhole surgery for receding gums. This minimally invasive technique that uses tiny pinholes to loosen the gum tissue so it can be re-positioned to cover and protect your teeth better, and takes much less time than invasive procedures that involve grafting and suturing. Painlessly get rid of gum disease, overgrown gums, cold sores and more with our Laser and LANAP dentistry. 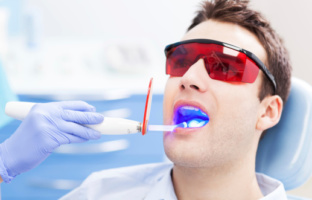 Lasers are powerful, focused beams of light that can heal unhealthy gum tissue as well as whiten teeth. Often, the use of laser treatments is more comfortable for the patient, especially in the case of children, than other treatments. 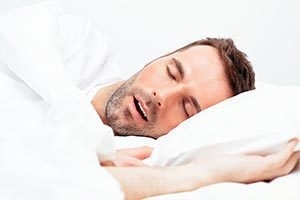 Ingenious Dentistry is qualified to identify, diagnose and provide effective treatment for conditions often linked to obstructive sleep apnea. We collaborate with Vivos to incorporate advanced technology and innovative clinical programs to improve upper airway, sleep and breathing wellness. This partnership helps to deliver an unmatched patient experience towards a healthy, open and fully functioning airway. Medical Center Dental will make your stay completely comfortable and pain-free with sedation dentistry. 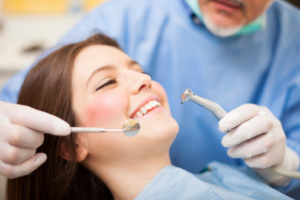 With sedation dentistry, any discomfort can be removed entirely as you will be under the whole time and will only be aware again once the dental work is over with. We have a variety of sedation methods available so that you can be comfortable throughout. Maintain your smile with regular dental exams and cleanings. Prevent cavities and root canals before they start. They say that an ounce of prevention is worth a pound of cure, and that is also true about your teeth, so rely on us to keep your teeth clean and in the best possible shape. Let us diagnose and fix any problems and then get you on a regular check-up schedule to stay healthy. I wish I could give them 10 stars!! These are the best dentists in Houston! Not only are they best dentists on this planet, they are also some of the nicest and most caring people you will ever meet. Their entire staff is kind, always smiling, and they know each patient and what their needs are. They’re always in a good mood and seem to really enjoy working there. Possibly the best dental practice in Houston. Dr. Brant has done cosmetic dental work for me in addition to correcting a jaw displacement and has been my dentist for a number of years. He is thorough, professional, extremely sensitive to patients’ concerns and to pain tolerances, and has a most positive and encouraging chairside manner. The staff couldn’t be more friendly and helpful. Going to the dentist used to be one of my least favorite activities, but here I feel relaxed and sure that I won’t be at all uncomfortable, and they are always punctual. I wish all my medical experiences were this positive. My experience with Dr, Brant and his staff has been excellent. I had many crowns on my teeth over the years and they had significantly deteriorated in appearance – quite simply, they were old and tired. They were also contributing to problems with my bite and that was leading to jaw pain. After discussing it with Dr. Brant, I decided to opt for a full mouth restoration. His thorough explanation of the entire process calmed my fears before we started the procedures. He explained each step as the process unfolded and, coupled with skillful and calm demeanor, made the entire experience stress free. The results are fantastic, and I could not be happier. Many people comment on how great my teeth look. The look is so natural that my friends thought I had only had my teeth whitened!. I highly and enthusiastically recommend Dr. Brant to all my friends. I am pleased to recommend Dr. Dale Brant for his high level of training and expertise. During our first meeting, he provided a thorough explanation of the various options that were available to me, while he patiently answered my questions and addressed all of my concerns. His skillful work exceeded my expectations, and his staff is the friendliest and most courteous group you’ll ever find. Over the last 10+ years I drew closer toward the inevitability that I would either soon require extensive dental restoration or otherwise accept the only alternative; having my remaining teeth extracted and be fitted for dentures. My preference, of course, was in choosing the former, however finding a dentist I could entrust this undertaking with was a daunting proposition. Following a consultation with Dr. Brant, I knew I’d found the perfect individual to perform the restoration; it already began to feel like a good fit. As the process began I could see that Dr. Brant is a true artisan, a perfectionist not satisfied unless everything runs according to the high standard of quality work he holds himself to. This, coupled with the ability to give quick directives to his capable assistant of many years, while keeping me relaxed, allowed me to maintain my faith in his abilities and realize that he indeed was a master craftsman. In summation, I came in a 58 yr. old man who during his younger years had perfect white teeth and a winning smile, yet over the last two decades suffered rapid deterioration becoming extremely self-conscious and in the habit of covering my mouth with my hand while speaking or smiling. After Dr. Brant finished his extensive restoration, my hopes and expectations had been realized far beyond my imagination. Not only that, my self-confidence returned in a manner not felt for a long time. I now have what must be the most beautiful teeth in my neighborhood; people have even taken to calling out “Hey Hollywood” when they see me. I would emphatically recommend to anyone considering cosmetic or restorative dentistry to consult with Dr. Brant; it is inconceivable to me that anyone else could surpass what he is capable of. I am happy with the choice I made and will always be thankful for what I never imagined was possible. I’m not sure how to effectively recommend Dr. Charles Campbell at the Medical Center Dental Group. I mean, you hear all these glowing recommendations about other providers and you wonder if some professional writer didn’t exaggerate perhaps a tad. I had a long and unhappy history of mismatched crowns and leaky bridges prior to meeting him. Together we made a treatment plan that today gives me a smile that looks like all these teeth are “home-grown,” and that makes people say I have a great smile. I won’t go anyplace else for my dental needs – including my hygienist visits. That’s it. That’s all. And thank you to MCDG. Please know that I cannot thank you enough for coming to my aid. I am forever in your debt and am grateful to you and your incredible team!